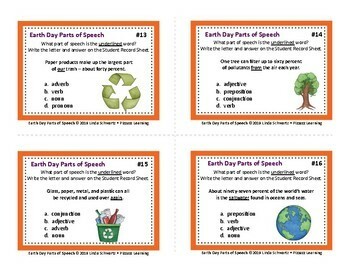 Each task card has an interesting fact about Earth Day or an environmental issue. One word is underlined in each sentence. Students choose the correct part of speech from one of four choices and write a., b., c., or d. as well as the correct part of speech on their Student Record Sheet. 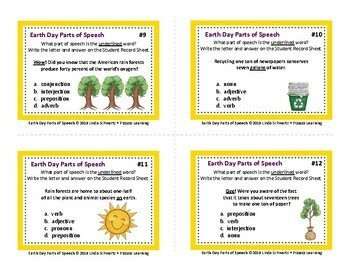 In addition, a set of 8 mini-posters define and give examples of each part of speech. 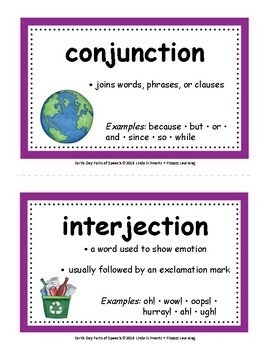 These colorful posters are ideal to display throughout the school year for quick and easy reference. Thank you for visiting Pizzazz Learning. 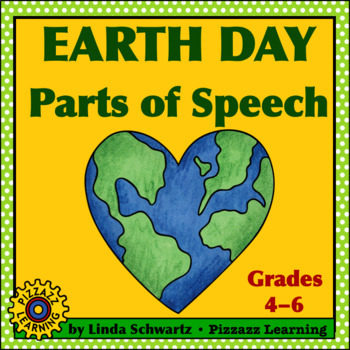 If you purchase Earth Day Parts of Speech, please take a minute to rate it to receive TpT credits. Be FIRST to learn about NEW products and SALE notices. Click the star in my store to become a FOLLOWER.